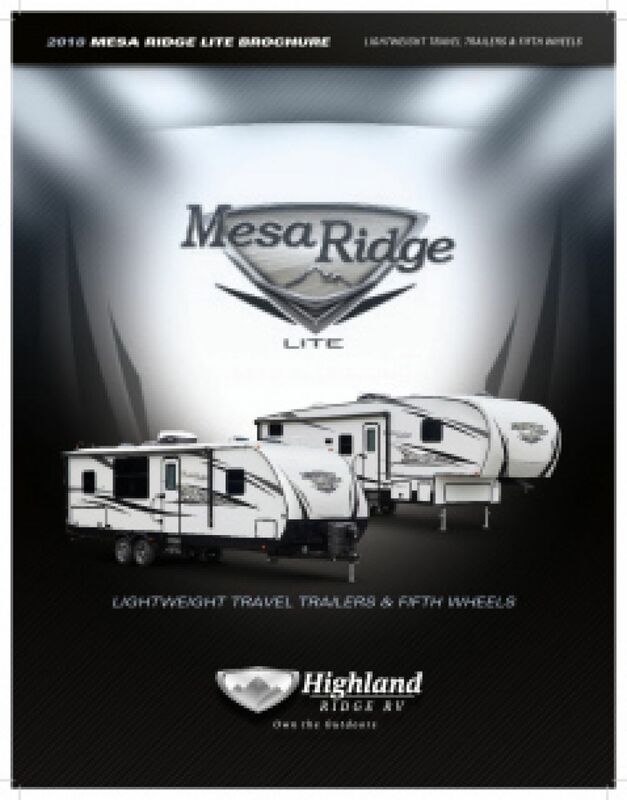 Embark on the adventure of the lifetime every summer with the stunning, road-loving, and reliable 2019 Highland Ridge Mesa Ridge Lite MR2802BH! 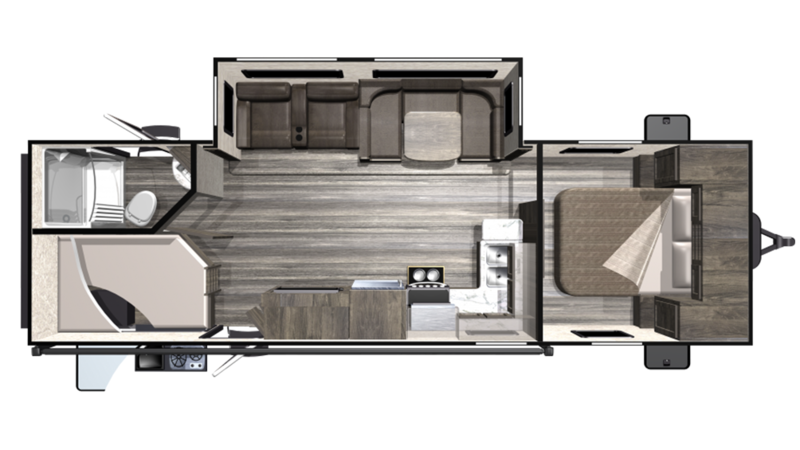 You can find this beautiful Travel Trailer at Tradewinds RV Center, one of the premier RV dealerships in Michigan - and the nation! 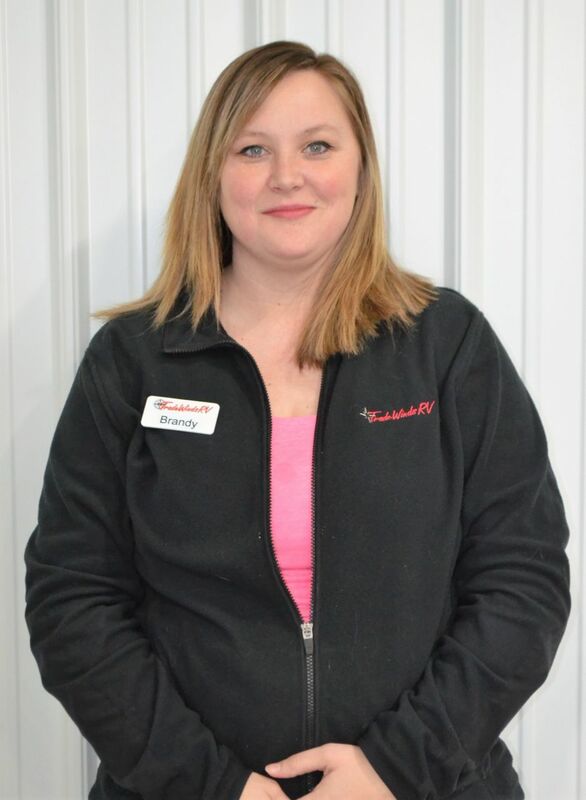 Our massive inventory includes all the top brand models and is conveniently located at 4325 W Vienna Rd Clio Michigan 48420, so stop by today to talk to our Mesa Ridge Lite expert! Or give us a quick call at 810-686-0710! You'll be in your dream RV at a dream price before you know it! Don't live near Clio, or even in Michigan? No worries! With our personalized phone and online service, and our fast, reliable 24/7 delivery anywhere in North America, you can pick out your dream RV online, save $1000s, and have it at your door in no time! Go as far as you can! This beautiful camper has an impressive hitch weight of 510 lbs. and GVWR of 7450 lbs. If you're looking for shade and cover from the elements, then just pull out the 20' 0" awning! It's easy to set up! Everyone's got a big appetite after a full day of outdoor fun. And you'll satisfy them every time with a delicious, hot meal cooked to perfection on the 3 burner cooktop in the kitchen! You can vary the menu every night, thanks to the 8.00 cu. ft. refrigerator that can store a variety of meats, veggies, and cold beverages! Clean up is never a worry either because you'll have plenty of hot water, thanks to the generous 51 gallon freshwater tank and the 60 lbs. of LP tank capacity! When it's raining outside, or the weather is cold and nasty, who wants to trudge through the campground just to use the chilly, damp community campground bath facility? Good news! That's an ordeal you'll never have to go through again, thanks to the beautiful bathroom in this RV! It has a modern shower and a handy Porcelain Foot Flush toilet. The 58 gallon gray water tank and the 29 gallon black water tank provide plenty of discreet storage for the dirty water. Your guests and younger family members don't need to settle for sleeping in tents or on the floor! The bunkhouse in this Travel Trailer provides extra comfortable Bunkbeds! Nothing beats the taste of food grilled outdoors, especially when you're having a picnic or tailgating before the big game. You can enjoy that treat anytime thanks to the handy outside kitchen! Burgers, brats, hot dogs, and more, they'll all have that great outdoor taste!